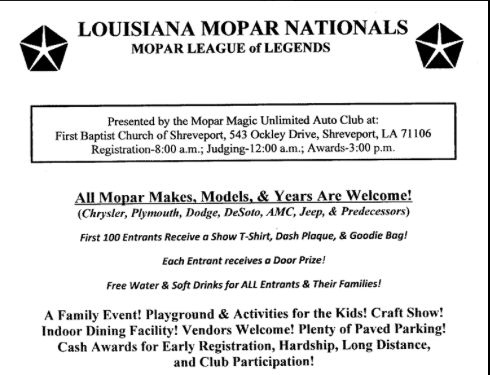 Join the Dallas Mopar Club as we attend the Louisiana Mopar Nationals. We are planning on having two caravans. One the Friday before staying in Fredericksburg TX and the second driving up early Saturday morning. Please contact Mike for details.